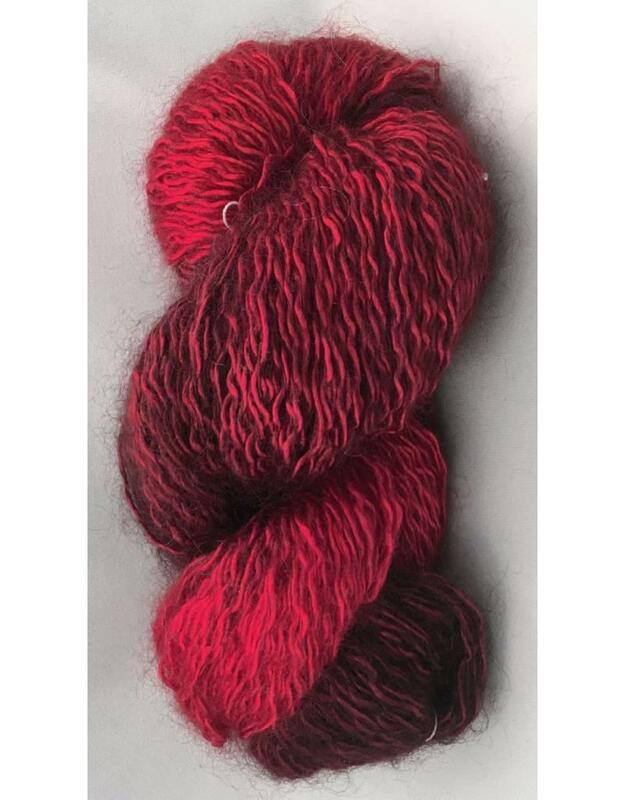 Hand Maiden Maiden Hair Yarn is a shop favorite. We have created sweater, shawls, scarves and accessories with this yarn and every project a joy to knit and wear. 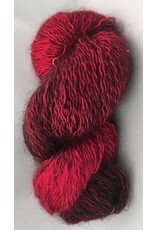 Maiden Hair yarn is soft, light and has incredible colour depth as the mohair and silk take the dyes differently. The yarn is a ply of a superfine mohair and a silk single that gleams out from the halo of the mohair. Perfect for most uses; most people will find this skin soft. Hand dyed in Canada in wonderful rich colours. Knitting Gauge: can be knit to various gauges good at 16 sts - 22 sts per 10 cm or 4"